Birthplace of Flounder and Clark Griswold. Home of some of the most fun short-form comedic programming on the web. Our friends at National Lampoon have remade their online experience with one of the deepest (and completely distracting) Internet TV channels around. National Lampoon's Toga TV features short films, interviews, gamer video, performances and a selection of top-tier national advertising. 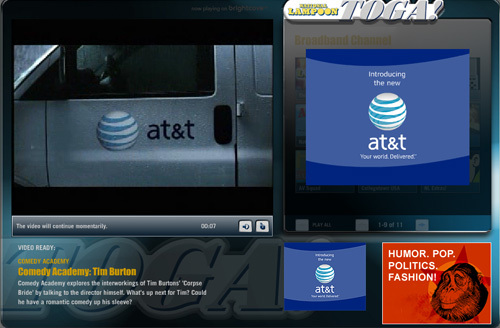 From Sarah Silverman to Donkey Kong this Internet TV channel is a laugh a click.